What happens after an Arizona DUI Arrest? Getting criminal DUI charges and getting arrested can throw you in for a loop. Chances are that you don’t have any experience or knowledge that will help you determine the best possible course of action. So what happens after an Arizona DUI arrest? One thing to keep in mind is that all DUI suspects are placed under arrest. This doesn’t mean you will face more serious consequences, especially if you get in touch with an experienced DUI lawyer immediately. Here are some of the most important steps to undertake after the arrest. As an American, you’re entitled to certain rights after getting arrested. The most important one is the right to remain silent. A police officer should acquaint you with your Miranda Rights during the arrest. If this doesn’t happen, your attorney will have a reason to challenge the entire procedure. Exercise the right to remain silent and don’t tell the police anything. You don’t have the experience and you’re probably confused by the arrest. This means you can easily do some self-incrimination by speaking up. You also have the right to contact a lawyer. This is something you need to follow through with immediately. The worst possible scenario is refraining from getting a legal representative because you believe that you can talk your way out of the arrest. What happens after an Arizona DUI arrest is that this isn’t going to happen, even if you’re confident that you haven’t done anything wrong. There are several procedures that police officers will complete in the aftermath of a DUI arrest. For a start, you will be taken to the jail lab where your blood alcohol content (BAC) will be measured accurately. If you have committed a first time DUI that hasn’t caused a traffic accident, chances are that you will be released from jail after the completion of this step. People who face more serious charges (repeat offenders, those who have committed hit and run or the ones who caused a deadly traffic accident) will usually be formally booked. The police officers will confiscate the driving license of a person charged with DUI. A temporary license will be issued and it will remain valid until a court hearing takes place. License suspension is also going to be initiated. Police officers are responsible for notifying the Arizona Motor Vehicle Department (MVD) about the DUI arrest. Whenever a person is charged with a misdemeanor following DUI, they will typically get a court hearing scheduled within the coming 30 days. Such individuals will be provided with a document called Arizona Ticket and Complaint. The document lists the court hearing date and the address where the hearing is going to take place. People who face more serious charges could expect getting and filling out multiple documents. The first document is filed with the MVD. The driver in question will receive a copy. The next one is the ticket filed with court. If the driving license of the respective individual is going to be suspended, a document outlining the terms and the conditions will also be provided. The final possible document is a slip pertaining to the impoundment of a vehicle. The document provides information about where the vehicle has been taken and the amount of time after which the driver can retrieve it. When the court date arrives, the defendant will be expected to show up at the respective venue. The formal hearing occurs before a judge. The charges are read and addressed by the defendant and their attorney. It’s up to you to decide whether you’re going to plead guilty or not guilty. 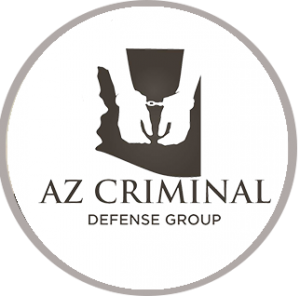 Now that you know what happens after an Arizona DUI arrest, let your attorney tell you what the best course of action is going to be. Depending on the situation, you may be offered a plea bargain. Under specific circumstances, going for the bargain will lead to the most lenient outcome. If you win the case, you will still have to deal with the MVD separately because it is an administrative rather than a judicial body. If you lose the trial, you will need to fulfill certain terms and conditions to get your license back.